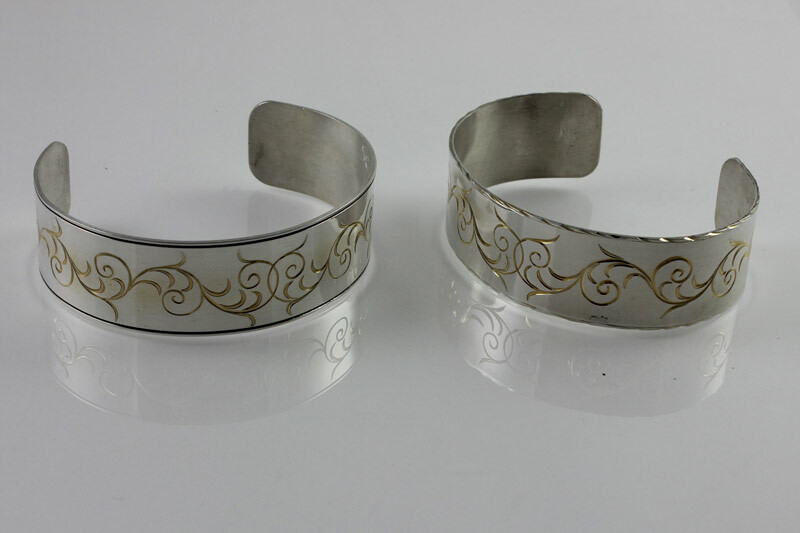 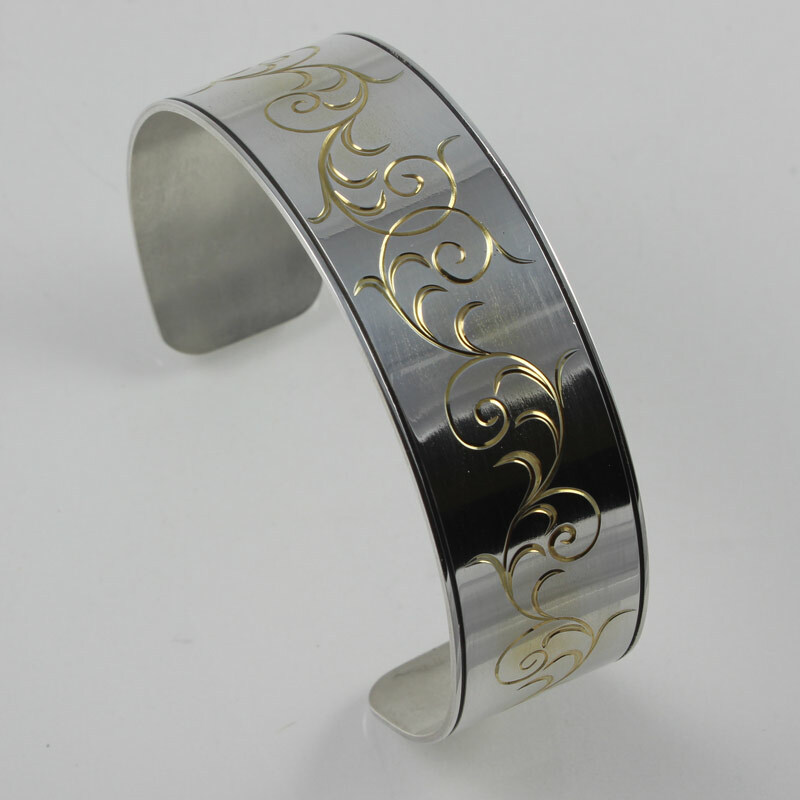 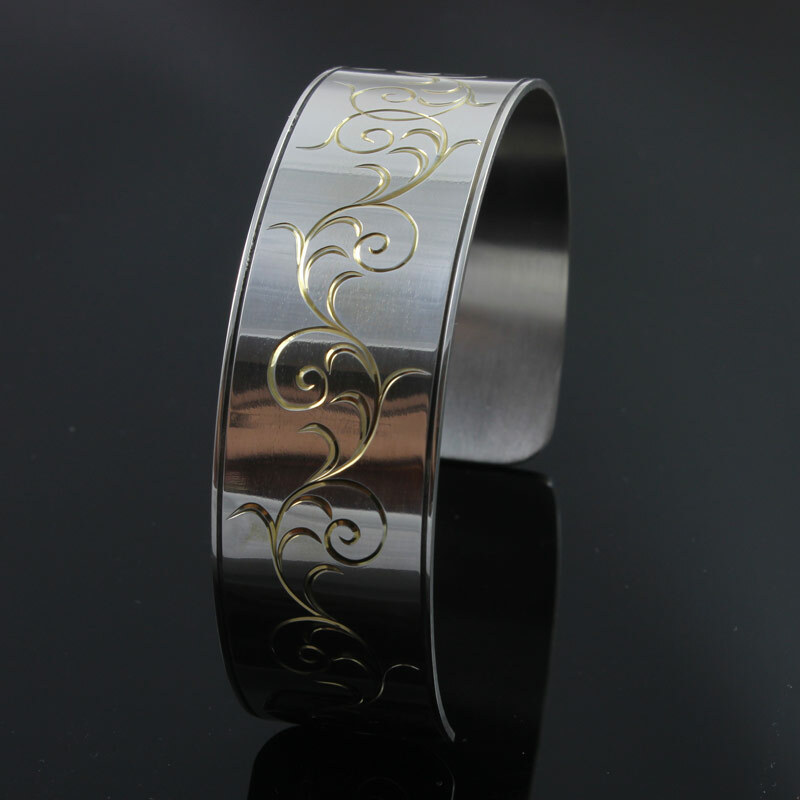 These flare cut hand engraved bracelets are made from 18 Gauge, .999 Fine Silver. 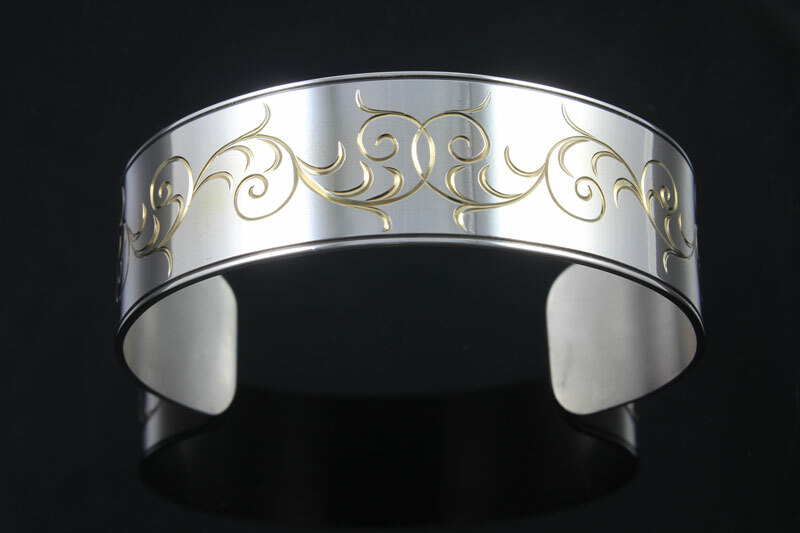 The hand engraving features a series of interconnected scrolls with flare cut leaves. 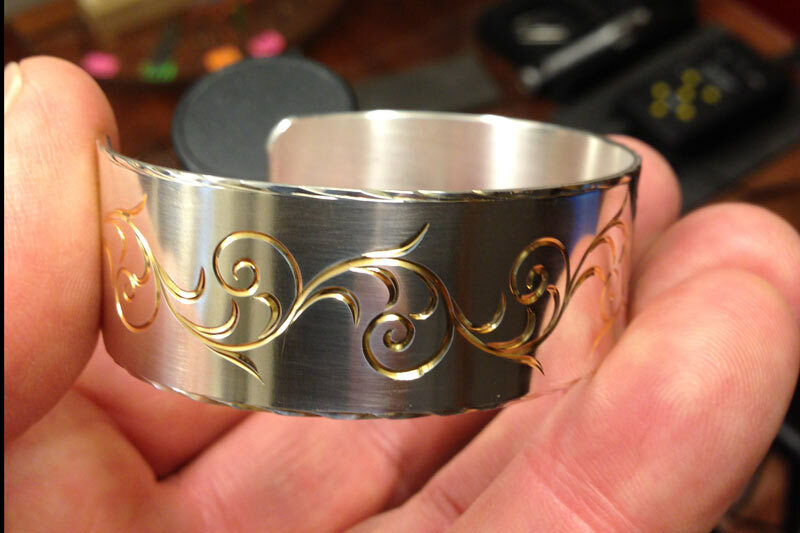 The recessed areas of the scrolls and leaves are plated with 24K gold. 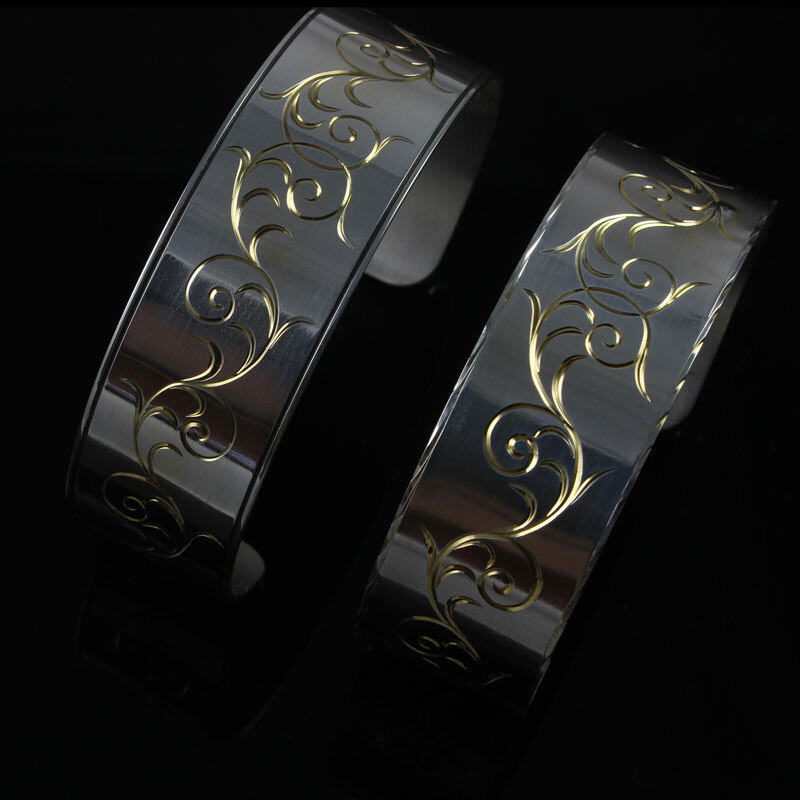 The edges of the bracelets feature a hand engraved rope border on one and a thin black border on the other.